* optional: a box of donuts to share with friends pre-run, mid-run & post run! 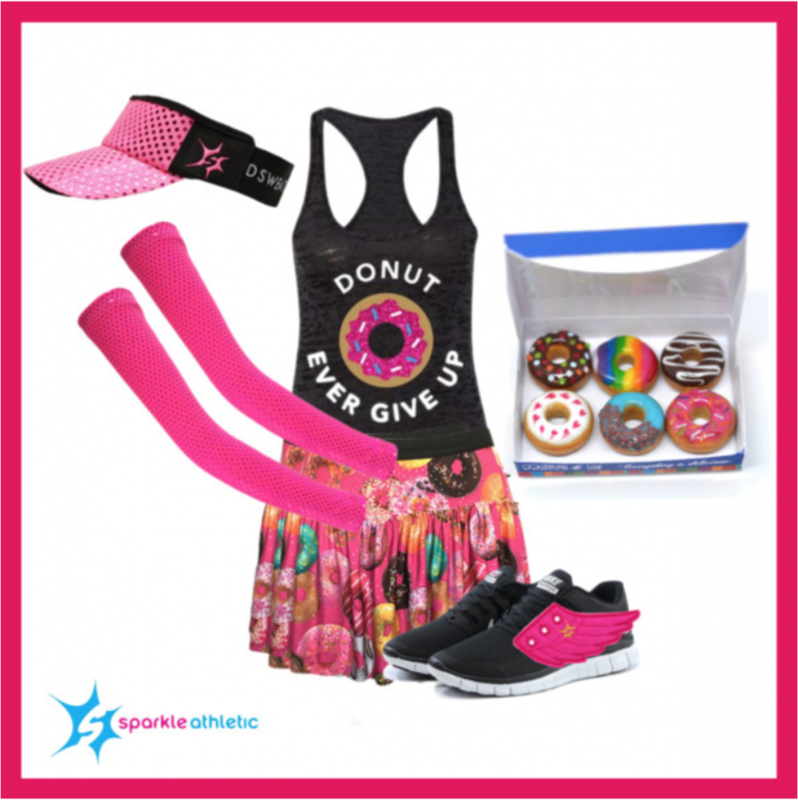 Get NEARLY everything you need for your Donut Running Costume here. Have fun creating your own donut inspired running costume! For even more costumes for running ideas, check out our entire running costume guide.